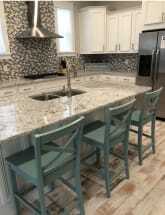 Prominence on 30A is a luxury vacation destination between Camp Creek Golf Club and charming Seagrove on Scenic Highway 30A in South Walton County. This well-planned development features incredible amenities, open green spaces and easy access to over 17 miles of bike paths. Nestled between Seagrove Beach and Alys Beach, Prominence on 30A’s single family residences, townhomes and condos attract families looking for easy access to oceanfront views along the beautiful white beaches of the emerald coast. Guests enjoy a 5,000-square foot resort-style pool, private cabanas, outdoor dining pavilion and state of the art fitness center. 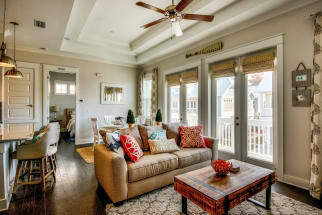 Prominence on 30A offers direct access to the area’s newest attraction: The Hub. This outdoor community gathering space includes beautifully tiled public areas surrounding a pristinely manicured grass stage front. The ample seating focuses on a pavilion covered performance stage with 25’ jumbo video screen backdrop. The stage hosts live music, family movie nights and sports broadcasts depending on the season. Browse our Prominence on 30A listings below and find the one that is right for you! Be sure to click on the 'Email Owner' button found on each listing, our property owners will gladly assist you in the booking process. ECBYO does not charge any service fees when you book with us!